In addition to saving your work as part of the TwistedBrush Pro Studio book system you can at any time export your image to a standard image format such as PNG, JPEG, BMP, TIFF, etc. 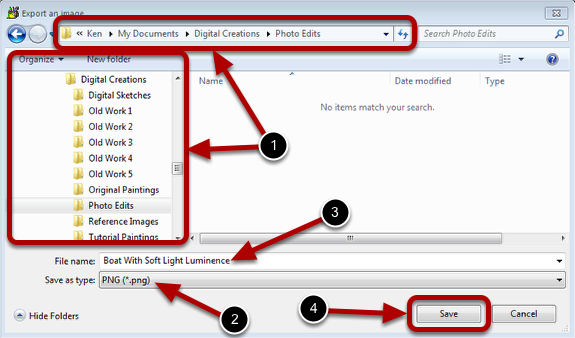 Select t the Save to File (Export Image) menu item. Select a location for your saved file. Choose an image file format type. Enter a name of the file.